You will find below the horoscope of Alicia Silverstone with her interactive chart, an excerpt of her astrological portrait and her planetary dominants. Horoscopes having the same aspect Sun sextile Neptune (orb 0°08'): Shakira, 14th Dalai Lama, Ashton Kutcher, Kate Winslet, Alain Delon, Jean-Marie Le Pen, Gwyneth Paltrow, Nicolas Cage, Rajinikanth, Tim Burton, Martine Aubry, Élodie Frégé... Find all the celebrities having this aspect. Horoscopes having the same aspect Sun conjunction Pluto (orb 0°13'): Katy Perry, Emma Stone, Tim Burton, Amber Rose, Mystic Meg, Hassan II of Morocco, Stephen Fry, Natacha Amal, Pio of Pietrelcina, Federico García Lorca, Alessandra Sublet, Ashanti (entertainer)... Find all the celebrities having this aspect. Celebrities born the same day: Buster Keaton, Susan Sarandon, Dakota Johnson, Julien Clerc, Charlton Heston, Liev Schreiber, Christoph Waltz, Najat Vallaud-Belkacem, Lena Katina, Belgium, Rachael Leigh Cook, Anne Rice... List of all the celebrities born on October 4. Celebrities being the same height: Sharon Tate, Selena Gomez, Miley Cyrus, Emma Watson, Kristen Stewart, Demi Moore, Lindsay Lohan, Charlie Chaplin, Demi Lovato, Nicole Scherzinger, J. K. Rowling, Angela Merkel... List of all the celebrities being 5' 5" tall. Celebrities clicked on in real-time: 576,303,844 times. Carefree, self-centred, and frivolous character. One is unable to learn the lessons from the past. Dangers of failure and reversal of fortune stem from neglect and superficiality. However, should the natal chart concur, particularly if Venus is strong and protective, sheer luck and devoted friends prevent the disaster from happening. The Moon is in the 1st House. When you deal with a person whom you do not know, or when you are facing a new situation, you try above all to adjust. You absorb external parameters in order to blend into the environment and feel safe as if you were at home. Adaptation is mainly a matter of sensitivity. If the contact is good, everything is fine. But should outside issues disturb your tranquillity and your need for well-being, then, you cut off your lines of communication. Withdrawn, hard-working, and proud character. In most cases, a serious reversal of fortune wreaks havoc on the family. One is too proud to seek assistance from friends and prefers to restart from scratch alone, with determination and patience. One knows that time and hard work are the keys to success, and one leaves nothing to chance in one's endeavour to regain one's social status and wealth. This demanding task is facilitated if in the natal chart, the 2nd or the 7th House is strong, or if Jupiter or Venus is in Pisces. Mercury describes your relations, your communication skills and the way you relate to the external world. However, other astrological elements also influence these areas. The sign Mercury occupies is significant only if Mercury is part of your planetary dominantes. In your chart, Mercury is in Virgo. Communication is discreet and balanced. It is important that you properly understand the limits of your knowledge and your contacts. Assimilating information is fine. But for you, organizing them is better. You are a perfectionist regarding the choice and the quality of your relationships: limits must be borne in mind. You are credited with an analytical and often critical mind. Because every small detail may be meaningful, as you face new situations, you are anxious to keep them under control and you analyze persons and events with a magnifying glass. Your observation abilities allow you to understand the ins and outs of any given problem. The only danger is that you may clutter you life with meaningless trivial details. In your natal chart, Saturn is in the 7th House. This configuration predisposes to some degree of rigour in human relations, associations, or within the couple. To link up to the world is not an easy task, and to blend into it is even more difficult. Your doubts and your questionings do not facilitate your social integration. However, your steady honesty works wonders once mutual confidence has dispelled reluctances and the sense of modesty you may have. Nevertheless, people should beware and never cheat on you! The garden symbolises a humble, nice, and conscientious character. Attention to detail and persistence bring about success and notoriety in natural sciences, botany, or horticulture. One may give one's name to a new species of flower or fruit. The donkey warns against stubbornness, laziness, and whimsical behaviour. A strong Mercury in the natal chart offsets the danger of violence and ruin heralded by this degree. Indecisive, fickle, and pessimistic character. One must make a concentration effort and carefully keep one's projects ready for implementation as soon as the good opportunity arises. One must believe in one's qualities, and learn not to systematically listen to the person who spoke last. Otherwise, innate lack of tenacity and self-confidence, blended with excessive malleability, would result in repeated failures. Self-centred, sensual, and frivolous character. Meeting one's sexual needs is the major concern for which one is prepared to sacrifice everything. Because sensuality prevails over true love, one may be involved in adulterous relationships and experience big affective losses. On the professional area, owing to the influence of the constellation of the Dolphin, all artistic careers are very favoured, especially when the theme chosen is about love, beauty, children, or flowers. Paradoxically enough, this degree sometimes indicates a true religious vocation. Assertive, combative, and haughty character endowed with leadership abilities. One prefers forceful means to dialogue and arouses much hatred. One makes the difference between one's few genuine friends and all the numerous flatterers. This degree indicates a risk of violent death or suicide, especially if in the natal chart, it is in conjunction with the Ascendant, the Sun or the Moon, or the ruler of the 8th House. In conjunction with the Part of Fortune, there may be seizure or confiscation of assets. Alicia Silverstone, (born October 4, 1976) is an American actress and former fashion model. She first came to widespread attention in music videos for Aerosmith and later starred in Hollywood films such as Clueless and Batman & Robin. Alicia Silverstone was born in San Francisco, California, to Monty Silverstone, a real-estate investor, and Didi Radford, a former flight attendant. Silverstone's father is English-born and her mother is Scottish. Her father, a native of East London, is Jewish and her mother converted to Judaism upon marrying Silverstone's father. She attended San Mateo High School but did not complete her high school studies. Here are some character traits from Alicia Silverstone's birth chart. This description is far from being comprehensive but it can shed light on his/her personality, which is still interesting for professional astrologers or astrology lovers. 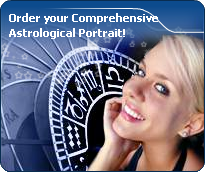 In a matter of minutes, you can get at your email address your astrological portrait (approximately 32 pages), a much more comprehensive report than this portrait of Alicia Silverstone. Alicia Silverstone, the diurnal South-western quadrant, consisting of the 7th, 8th and 9th houses, prevails in your chart: this sector brings about a thirst for communication and sometimes, a need to take risks in your dealings with others. Relations are a factor of your evolution and your transformation, which you accept serenely. Indeed, what matters to you is the movement and the energy that link you to others and that make you gain more awareness. A kind of rebellion or a desire to get away from it all is rooted in you. Cheers for communication and mobility, Alicia Silverstone! The predominance of Air signs in your chart favours and amplifies your taste for relations and for all kinds of short trips, whether real (travels) or symbolic (new ideas, mind speculations). You gain in flexibility and adaptability what you lose in self-assertion or in pragmatism. The predominance of Water signs indicates high sensitivity and elevation through feelings, Alicia Silverstone. Your heart and your emotions are your driving forces, and you can't do anything on Earth if you don't feel a strong affective charge (as a matter of fact, the word "feeling" is essential in your psychology). You need to love in order to understand, and to feel in order to take action, to the detriment of a certain vulnerability against which you should learn to fight. Earth qualities are under-represented in your chart, with only 8.97% instead of the average 25%. Deficiency in Earth may indicate that you have no interest in material and concrete values. It is likely that you live too much in your heart or in your mind, or even in your enthusiasm! The fact remains that you may end up in tricky situations, due to your lack of good sense or forethought: material life is unavoidable even if you are rather idealistic, dreamy, or easily content. You must tackle concrete life necessities, for fear of... being forced to cope with them, later, in much more unpleasant ways! Your angular houses, namely, the 1st, 4th, 7th and 10th houses, are very emphasized in your chart, Alicia Silverstone: according to the Tradition, they are the strongest and most dynamic houses. Should the rest of your chart concur, angular houses suggest that you are an enterprising, energetic and assertive woman. Indeed, angular houses are said to generate impulsions and to give a powerful and domineering personality. The three most important planets in your chart are Uranus, Pluto and Neptune. Therefore, you are certainly a passionate woman who is on the lookout for any kind of action or revolutionary idea, and you are keen on new things. Uranians are never predictable, and it is especially when they are believed to be stable and well settled that... they change everything - their life, partner, and job! In fact, you are allergic to any kind of routine, although avoiding it must give way to many risks. In your natal chart, the three most important signs - according to criteria mentioned above - are in decreasing order of strength Scorpio, Libra and Aquarius. In general, these signs are important because your Ascendant or your Sun is located there. But this is not always the case: there may be a cluster of planets, or a planet may be near an angle other than the Midheaven or Ascendant. It may also be because two or three planets are considered to be very active because they form numerous aspects from these signs. The 8th, 9th and 1st houses are the most prominent ones in your birth chart. From the analysis of the most tenanted houses, the astrologer identifies your most significant fields or spheres of activity. They deal with what you are experiencing - or what you will be brought to experience one day - or they deal with your inner motivations. After this paragraph about dominant planets, of Alicia Silverstone, here are the character traits that you must read more carefully than the previous texts since they are very specific: the texts about dominant planets only give background information about the personality and remain quite general: they emphasize or, on the contrary, mitigate different particularities or facets of a personality. A human being is a complex whole and only bodies of texts can attempt to successfully figure out all the finer points. Your sensitivity is all on edge, Alicia Silverstone, and your emotions so deep, your imagination, so lively, that you are often found in the sweet realm of dreams. You create your own fantastical world with entangled fragments of current reality, romantic souvenirs and hidden hopes. Your receptiveness is so intense that it may border on mediumship or, more disturbing and rare, you may have hallucinations. Your character fluctuates according to the stimulation of the moment but in general, you are a nice person, full of gentleness and romanticism, always ready to understand and to dedicate yourself. You have real healing powers, would it be only through your ability to instinctively understand other people's sufferings. Your affective structures can be likened to a roving radar. You are vulnerable, hurt by the slightest aggression and easily influenced because you are unable to step back from people and events; therefore, you may start to be doubtful and lose the self-confidence that you so badly need to progress. In your chart, the Sun is in Libra and Venus, in Scorpio. Your solar and Venusian signs indicate very complex affective behaviours… The Sun in Libra is marked by a strong association principle, whereas Venus in Scorpio prompts to resistance, even to refusal. You may alternately display these two antinomical attitudes: you expect moral and affective support from your relationship and you dream of fusion and harmony. You think that you are able to share everything, including your values and your models. However, your desires are very specific and your inclinations are distinctive. Besides, you may not appreciate an amorous situation exempt of antagonism. Indeed, you know that love also lives on those differences, which allow mutual enrichment, and you do not let your passion be dulled by the blissful harmony you dream of! In the long run, your attitudes are more selective and your manner becomes more clear-cut. The danger is that you may too quickly adhere to your partner’s school of thought because you do not want to hurt him but, as a consequence, you arouse feelings of flatness and tensions. Therefore, it is important that, against all the odds, you fully respect your ideal of fusion and your desire for an intense relationship. When this configuration is well integrated, it allows you to balance two incompatible tendencies, as well as to adhere to your partner’s views without renouncing your own, and to calm things down without smothering the excitement of the hearts. You cannot dissociate love from passion, Alicia Silverstone. Your feelings are immediate, imperious, intense, and it is absolutely impossible for you to think of an amorous relationship without fusion, without the irresistible desire to know everything about your partner: emotions, feelings, sexuality, everything must be experienced in a possessive, absolute and unrestricted way. Actually, your feelings are as complex as they are deep. You seldom love, but when you do, a burning ardour and its torrid, violent frolics consume your couple. It is obvious that such powerful feelings may lead to jealousy and absolute exclusivity, almost bordering on the will to control your partner. If your relationship is genuine, all is fine. But if it is not the case, there are real dangers of shared wounds within your couple; it is hard to reconcile passion with tranquillity and it is clear that for you, sentimental serenity involves a partner who is either as complex as you and who instinctively understands you, or who is complementary, and as calm and steady as your impulses are intense and deep. The ruler of the Ascendant, Alicia Silverstone, is Uranus. It is posited in the sign of Scorpio and makes you appreciate mysteries and the unknown. You need to understand, to solve riddles, and to take action behind the scenes, perhaps so as to be even more efficient. Your criticising skill is a weapon, but it may also backfire on you, just like your sometimes excessive obstinacy. In love, Madam, you are the seductress of the Zodiac: love is your major area of concern and to please is the very expression of your whole being. You are so charming, so considerate, you multiply your conquests with lightness and you are on top form while you are awaiting the love of your lifetime. You have every chance to find him because all your talents are oriented towards communication and meeting with people who, invariably, think that you are charming and distinguished, pleasant and educated, with a lot of good taste and that you manage to make your interlocutor feel comfortable. As you are exceedingly demanding, it is very likely that you will be disappointed by many lovers and admirers, however, you will never be tired of starting over again your nice soul mate hunting. You are more sentimental and aesthetics-oriented than Taurus, who is more physical or sexual. The relationship with your partner must include many intellectual exchanges and a deep closeness regarding your artistic tastes or your daily lifestyle. In general, you will marry only once, in spite of your capacity to charm and to have romantic encounters. No one can say that you are particularly aggressive, Alicia Silverstone! Actually, it takes a great deal for you to become able to express your anger because you belong to the wavering type and you are not prone to risk-taking; you loathe violence and you would rather not intervene than start a conflict. Moderation and the happy medium in all things are your favourites. One of the only areas that makes you wage war is injustice, whether you are the one who is stricken or whether it is someone who is helpless. In this particular field, as in that of sexuality, you are not impulsive and you appreciate it very much when your partner shows the way, preferably with much serenity and gentleness. Actually, the form and characteristics of your sexuality depend on the rest of your personality. This text is only an excerpt from of Alicia Silverstone's portrait. We hope that it will arouse your curiosity, and that it will prompt you to deepen your knowledge of astrology, as well as to visit and use the wide range of free applications at www.astrotheme.com. Your Life Path is influenced by the number 1, Alicia, which often prompts you to have an active and sometimes original life. 1 is the number of creativity and indicates individual destinies which are achieved at the cost of personal efforts because, although the path may lead very far, it climbs steeply upwards. You need to learn to manage your life with a strong willpower while using your own resources. It is most likely that you reach the best of your possibilities if you choose a free-lance occupation, or anything which allows a lot of personal initiatives. You really need freedom of action. You prefer to innovate rather than to follow the trend, and to create rather than limiting your activities to repetitive tasks. Thus, your life may be theatre of spectacular twists and turns, all the more so because the more you progress, the more your indecisiveness fades away. In such conditions, it is necessary that you strive to maintain a minimal degree of stability in the course of your life.